Have you found an online vendor selling Novo Fogo Barrel-Aged? Had a rum tasting on a sunny afternoon, because why not. 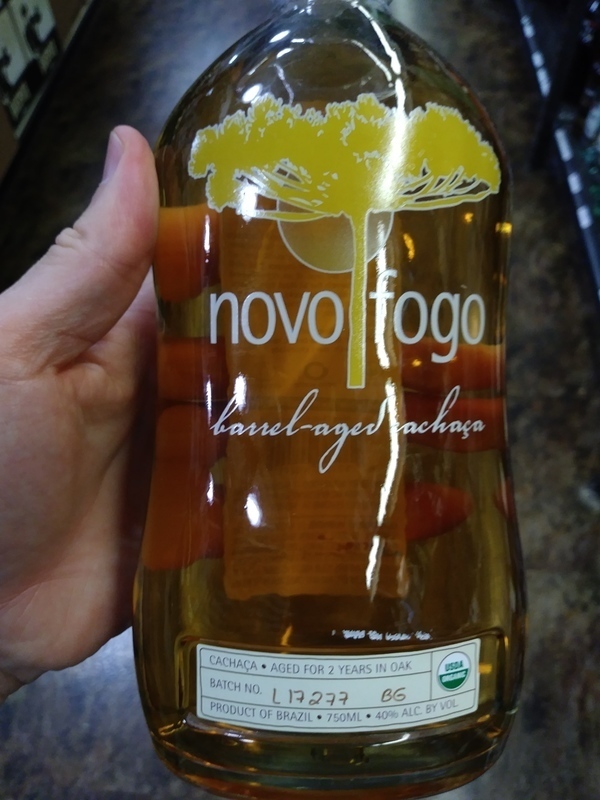 Novo Fogo Barrel Aged Cachaça bottle and label design looks boring and dull. Strong alcohol, plenty of wood and smokiness coming through to the nose and palate. Strong burn at the end, so better to mix it up with plenty of lime and Demerara sugar. Funky for a cachaca with notes of vanilla, nutmeg, pepper and woody. Not a great sipper and worry it could overwhelm cocktails like daquaris. The company's website claims a flavor profile of banana bread, chocolate, cinnamon, and coffee. Not sure I really get those, but it's still tasty nonetheless. Am curious to try more cachacas to compare overall quality. Although this was only aged for 2 years in oak, I find it a little bourbon heavy for my liking. Notes of bourbon, sugarcane, oak, and cinnamon, it's a little dry to be a favorite of mine.